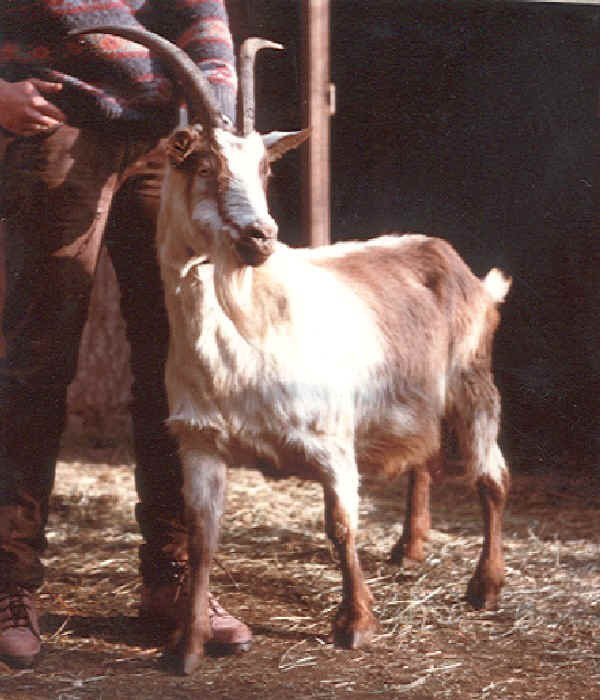 This goat comes from the western side of Como Lake, from Livo valley (Como – Lombardia). The origin is unknown, it belongs to the European alpine breeds. It is spread in western Lario and nearby areas. The coat is variously coloured: plain–black, brown, red or yellow – or pied. Horns: present or absent, ibex-like or ‘markar’,that is, backwards and wide apart. Although the milk production is quite good, it is mainly reared for kids.